Looking to increase your curb appeal by decorating your front door? 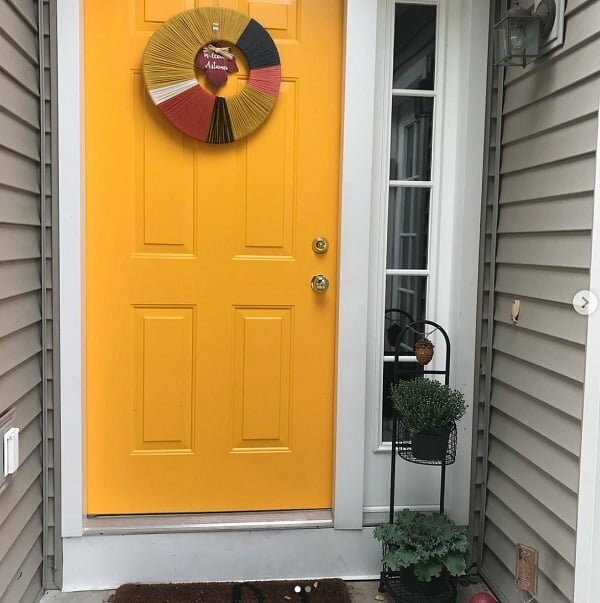 Here are 20 creative front door hanging decor ideas for you to use in 2019. Your home decor starts at the front door, and your guests get the first impression even before they enter the house. So it’s a big deal to try and make them feel welcome as well as intrigue them to want to see more. This will set the mood that will continue throughout the entire visit. When it comes to front door decor ideas, it’s not just about the wreaths. Yes, they are essential, and you can rarely get away without using one. But there are other things to think about, such as the door color and the decor of the door its self. We go through all of these ideas in this selection of 20 picks. Check it out! 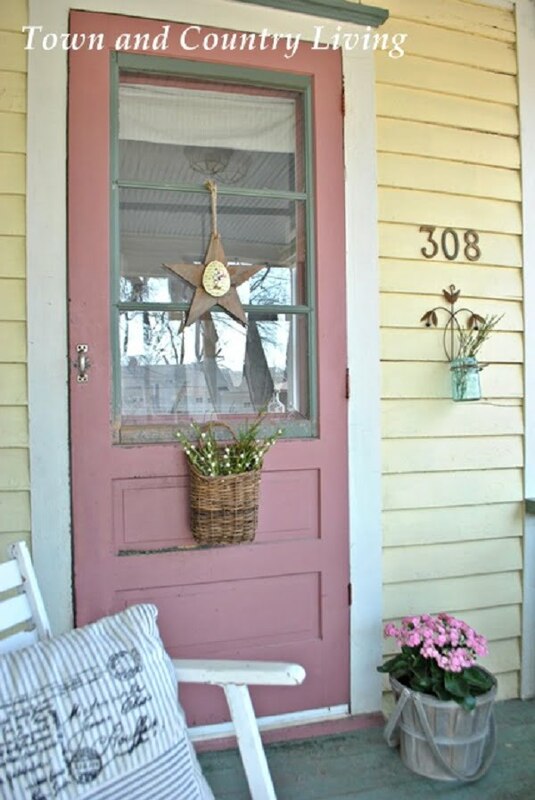 Creating welcoming front door decor in farmhouse style is one of the easiest ways to increase your curb appeal. Rustic farmhouse always associates with welcoming coziness. There’s no way your guests won’t feel welcome entering your home seeing this vignette. You can change the wooden star to different decor accent as well. Any farmhouse wreath will work. The most important detail is to keep the consistent theme. 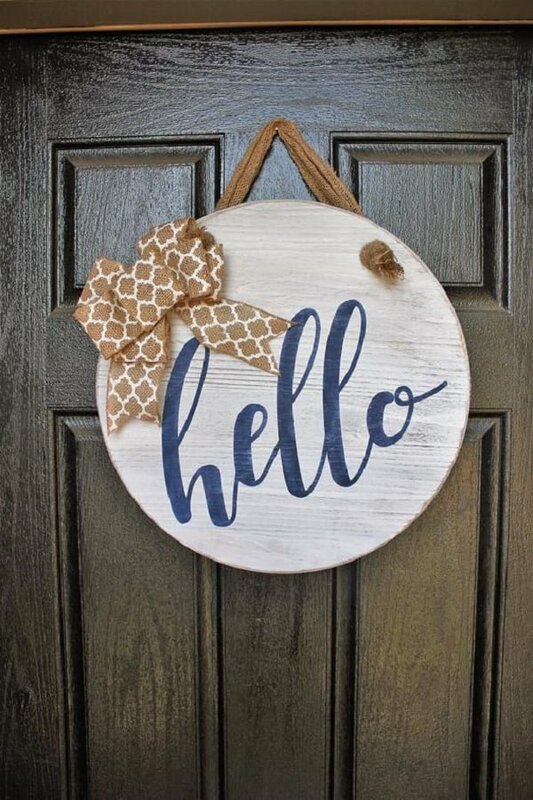 Talking about farmhouse wreaths here’s another front door decor idea. 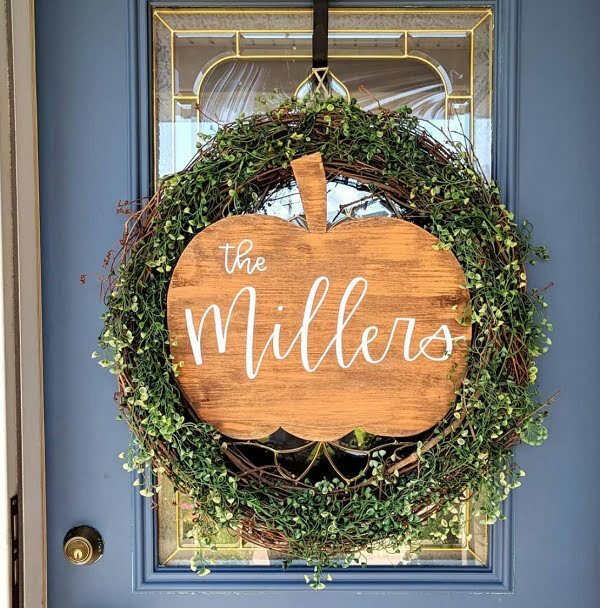 As per the previous picture, you can switch the wreaths with this rustic pumpkin sign. It’s unique and a bit whimsical. And you don’t have to wait for fall to hang this sign. 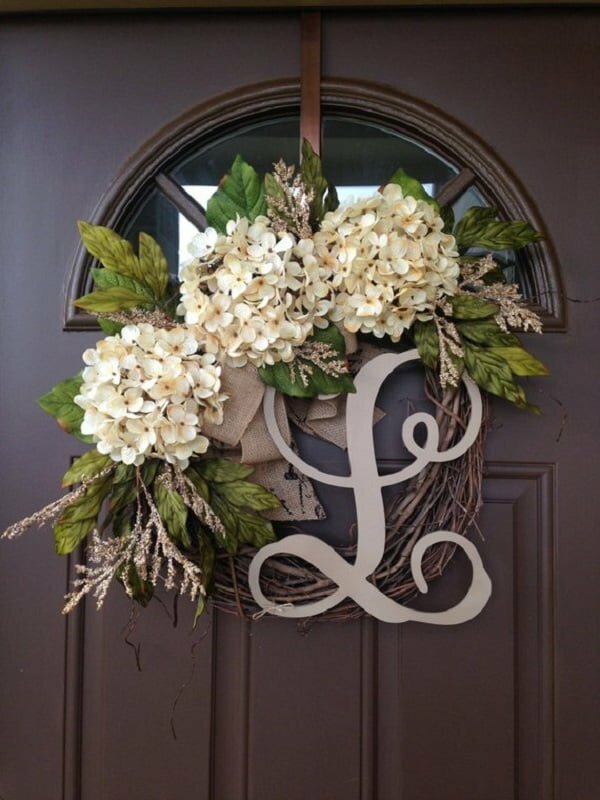 If you want your front decor to have a special meaning together with aesthetic curb appeal, try a monogram wreath. Usually, it’s the capital letter of your family name. 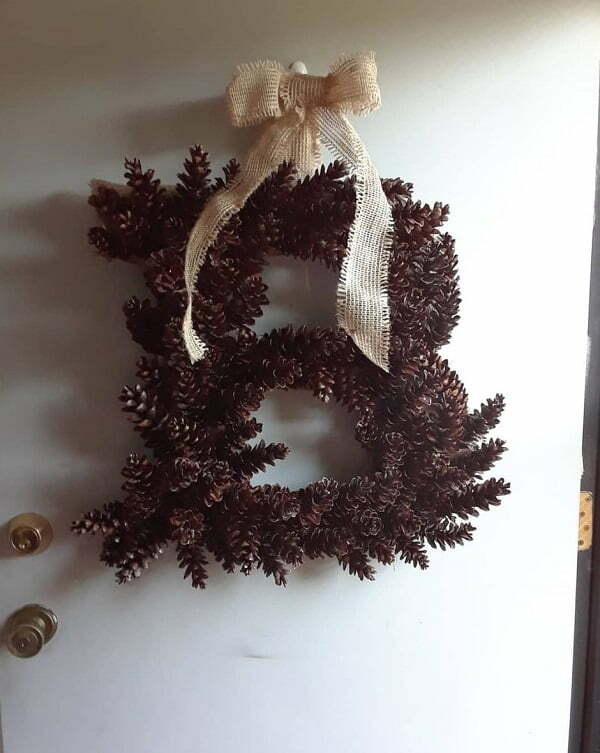 In this example, the wreath is made from pinecones to have a rustic fall appeal. Again, it’s all about creating a welcoming rustic coziness. Your guests will appreciate the effort. After all, it’s so much more of a pleasing experience to enter a home which is decorated right from the curb. Nothing speaks about hospitality better than a hint to farmhouse produce. 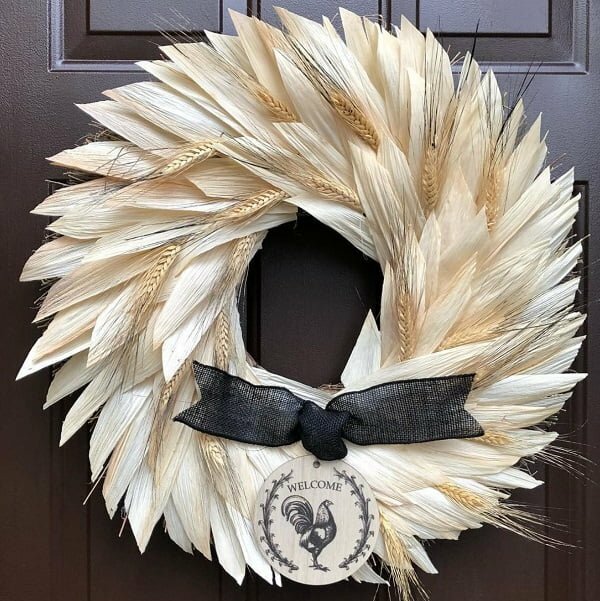 So if you’re going for farmhouse accents in your home decor, you’ll want to do the same to your front door decor as well. This crop wreath is the perfect example of the idea. The key to this look is to keep it simple but stylish. The wreath is not overcrowded with detail – the focus is on the crop. A small black ribbon and a wooden sign are there to bring it together. 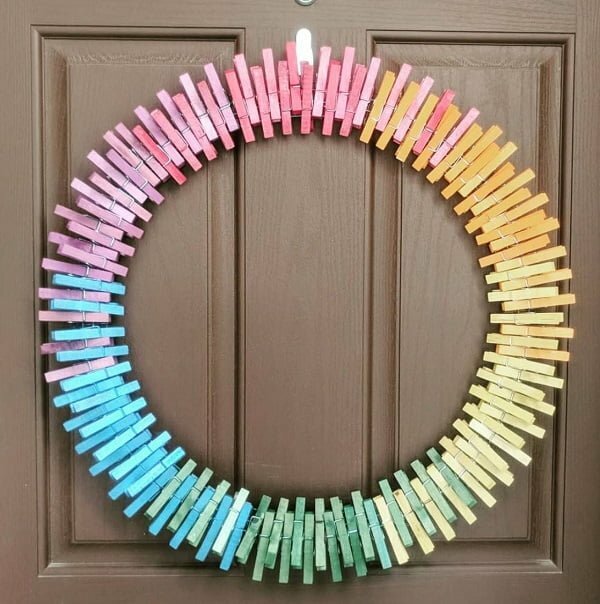 Everything works together in this front door decor idea. 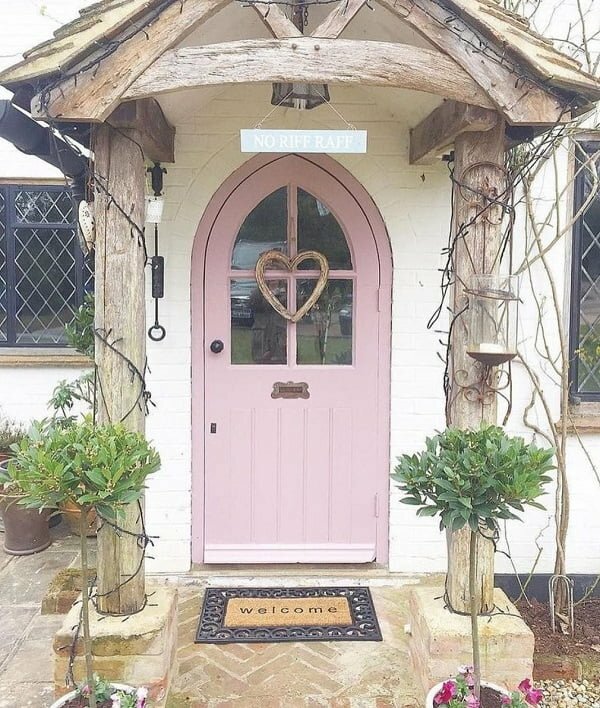 From the color of the door to the delicate heart-shaped wreath to the reclaimed wood porch arc. But if there’s just one thing you’d take home from this idea, it’s the minimalist hearth wreath. It’s simple but very inviting. 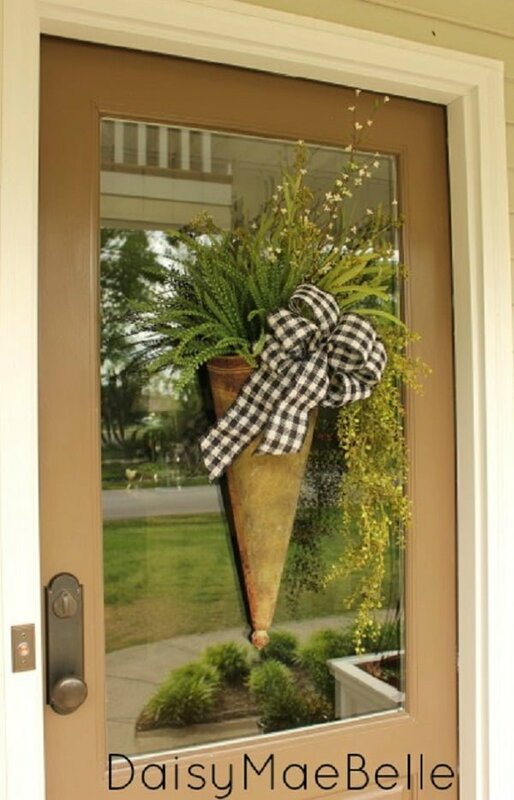 And what an easy and quick way to create inviting front door decor it is. 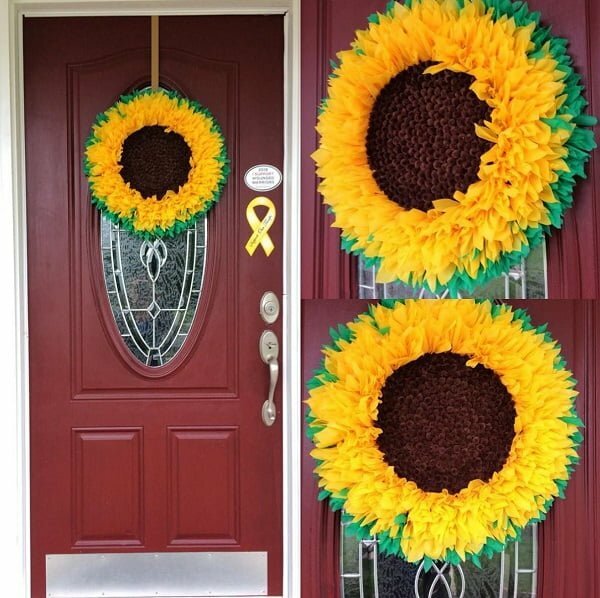 If you’re looking for a front door decor accent that pops, try this faux sunflower wreath. The vibrant yellow and green create a happy mood instantly. Who wouldn’t want to enter this house? You can even make this wreath yourself. It takes some ribbons or plastic tablecloth, and some creativity to accomplish it. You can always find it in crafts stores too! 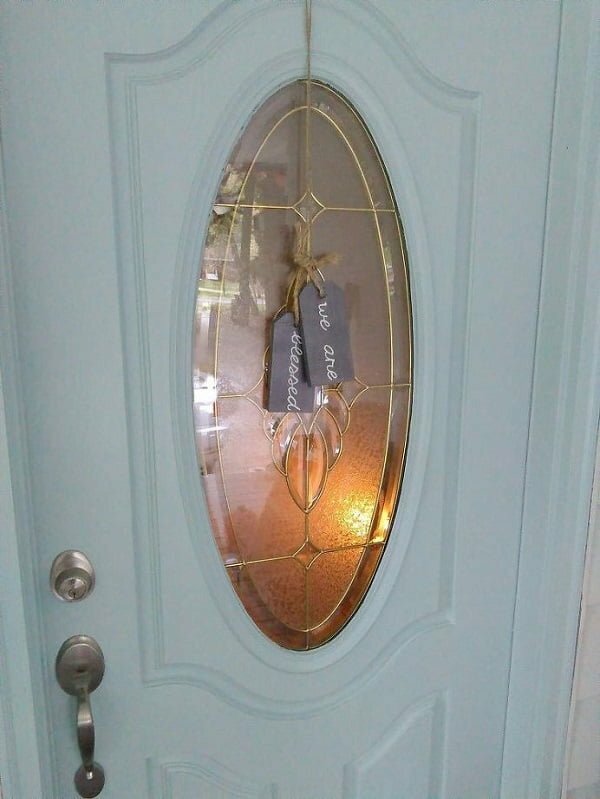 Your front door wreath can tell a message, literally. Saying hello in such a unique way adds some charm to your curb appeal. And it makes your exterior decor very inviting too. You can either buy a sign like this or if you’re crafty, make one yourself. It’s a simple idea to make if you’re into DIY. Here’s a tip, make it from a cutting board! Flowers make everything better. It applies to your curb appeal too. So the more ways you find to add them to your decor, the better. 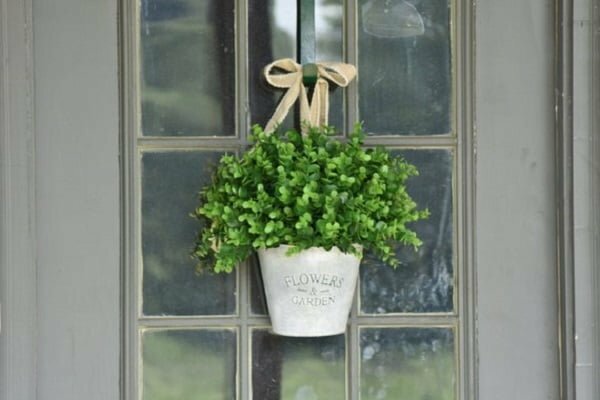 In this case, hanging a nice rustic whitewashed basket with greens is a beautiful way to decorate the front door. You can experiment with all types of flowers too. Keep in mind that what works on one door, might not work on another. So the key here is to experiment to find the best look. Do most of these ideas seem boring to you? Following front door decor trends is fine and all, but making your unique decor can go a long way. Hanging a witty sign on your door is one way to do that. 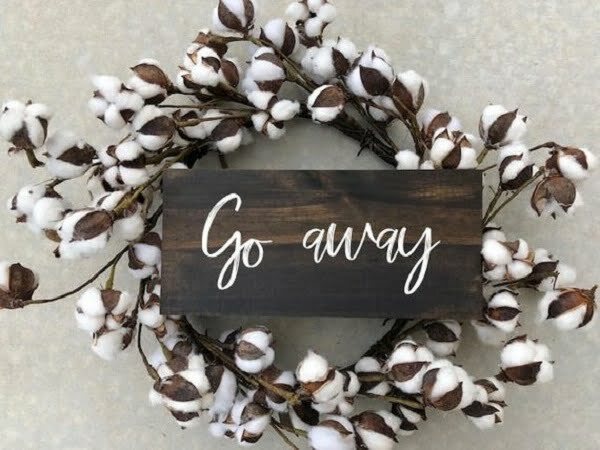 A small rustic wreath and a signboard with your message are all it takes to get this look. Make sure your guests share your sense of humor when choosing a witty message, though! Increasing your curb appeal with front door decor is not just about hanging wreaths and flowers. You can revamp the entire door to create a decor accent. In this example, it’s making the faux wood look with vinyl laminate floor planks. And because there’s a wide choice of floor planks to choose from, you can experiment with different types of accents. Check out this idea. Continuing the unique front door wreath idea here’s another straightforward yet high-impact approach. Hanging a couple of gift tags with special word on your door is a cute way to decorate. It’s a great conversation piece right from the get-go. It’s a nice project idea to DIY too! So if you’re into it, you’ll love crafting them. Front door gift tags might make a lovely present also! 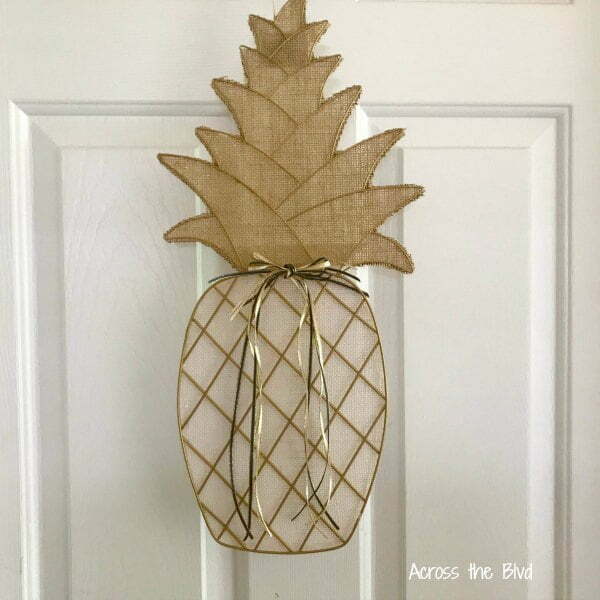 Pineapple decor props as a welcoming curb appeal are quite a trend. If you like the idea, it’s simple to apply it. You can even get the props in Dollar Store. Don’t limit yourself to the standard pineapple design too. You can use the shape as a frame (a wireframe) and decorate it with details of your choice. There’s no better way to create a warm and welcoming entry to your home than a beautiful flower arrangement for a wreath. If you know your way to arrange flowers, you must use this idea. There are no limits here. Simply take the flowers you like and put them together with a cute bow and a wreath frame. This can be a nice DIY project too. This idea proves that simple works. 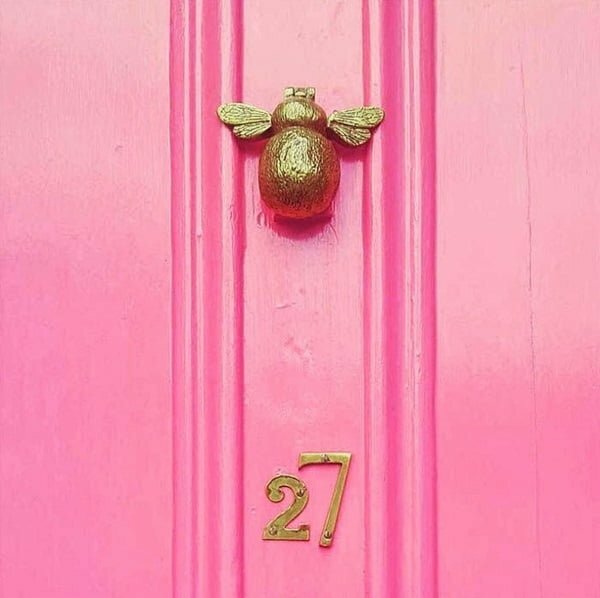 Who would have thought that all it takes is a small gold sprayed bumblebee to create cute curb appeal? It certainly works! What toys would you use to decorate your front door? Looking for a simple way to find a wreath that complements your front door color? String art may be your only option. It’s a great accent to add because you’re not limited by anything. You can use any color of yarn and make a wreath that works. Check out this idea and get a wreath wireframe and yarn to DIY your own. Hydrangea wreaths work all year round and almost on any door. If you like to play safe, you can’t go wrong with this type of front door decor. You can even add a monogram letter as an additional accent too. The best part is that there are plenty of hydrangea wreaths to buy as well. Or you can make one yourself as a simple DIY project. If you want to update your front door decor regularly but you don’t want to get involved every time, use this chalkboard idea. The best thing about it is that you can write your message daily. And what a great way to create welcoming decor it is. All it takes is hanging a chalkboard tablet on the door. You can embellish it too. 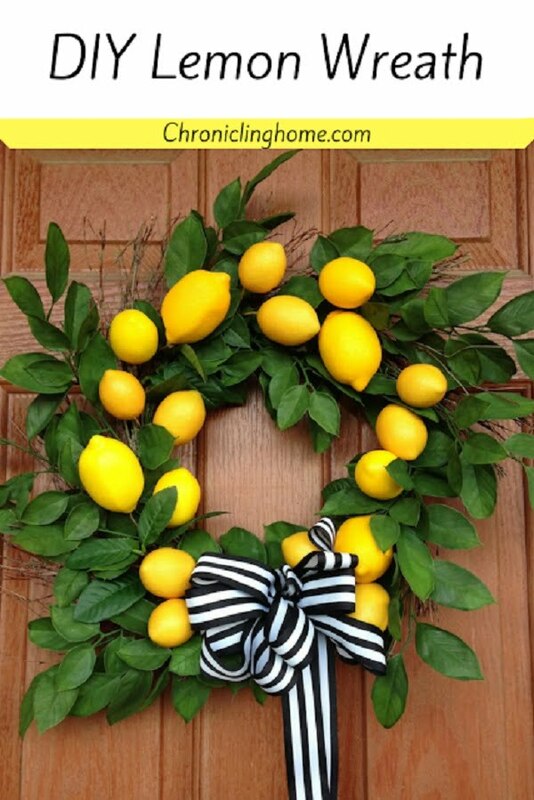 When life gives you lemons, make lemonade… or create a front door wreath from them. 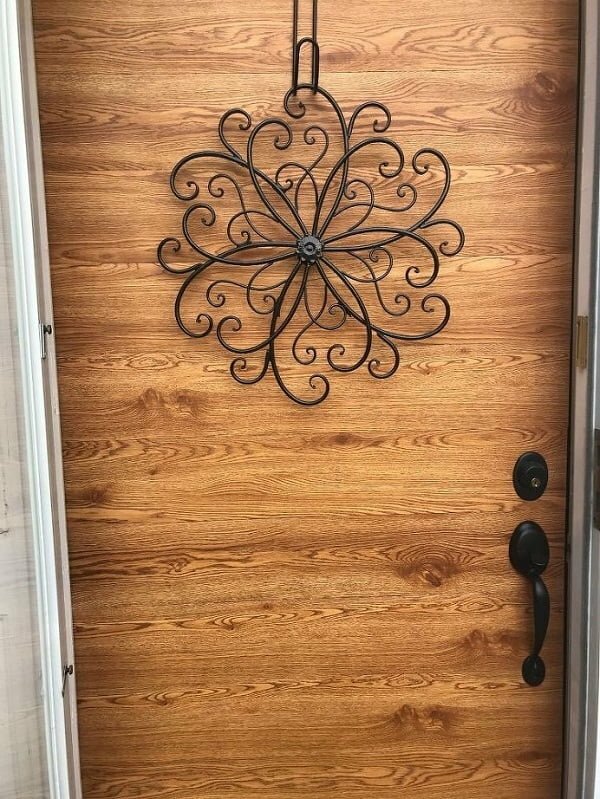 It’s a beautiful way to make welcoming front door decor. The bright yellow accent of the lemons is very playful too. You will have to DIY this wreath, so here is the tutorial for you to follow. 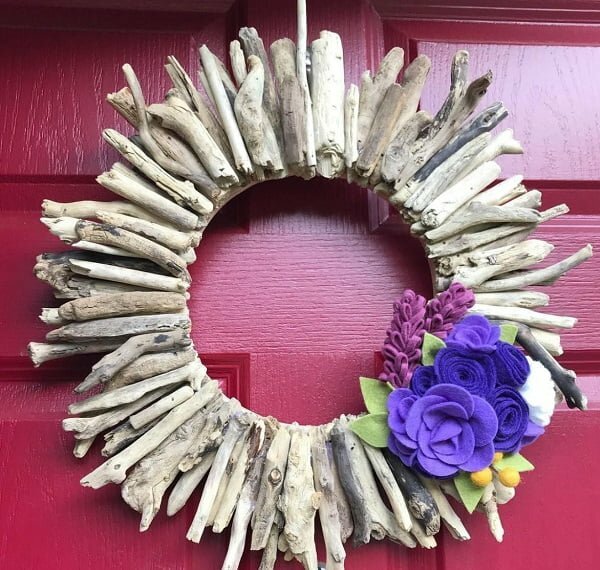 If you live anywhere near a beach where there’s enough driftwood, you can collect it for some beach style front door decor. A wreath like this is warm and welcoming. It’s a great conversation piece too. Add some felt flower embellishments to complement the color of the door too. The best ideas come from simple everyday items. In this case, it’s the clothespins. You can take it to another level by using colored clothespins to create a color pattern. It’s a creative but simple idea to try at home. 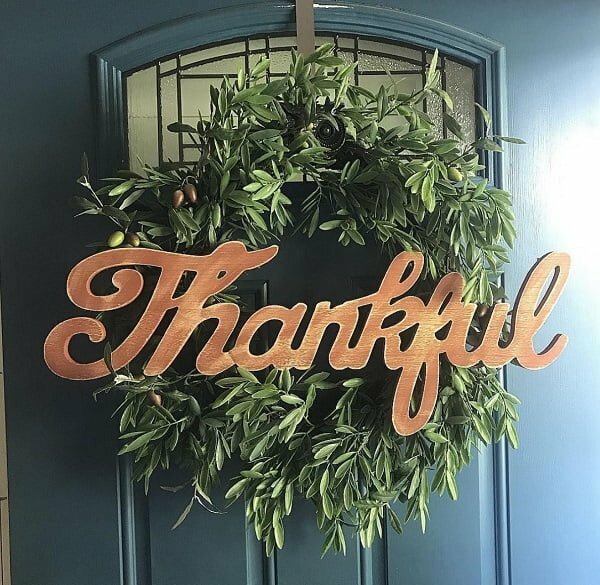 Using word art for a wreath is a great way to decorate your front door for special occasions. This time it works as the perfect Thanksgiving decor item. 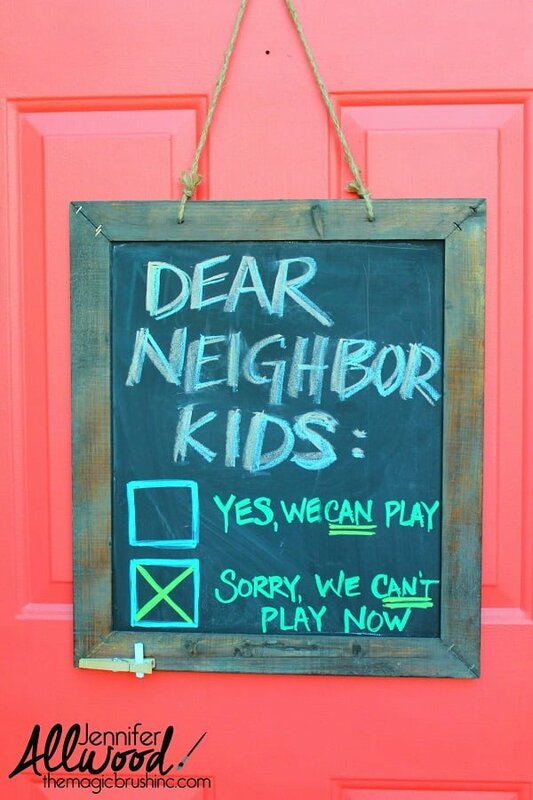 If you’re expecting guests for the Thanksgiving dinner, they will be most welcome seeing this sign.